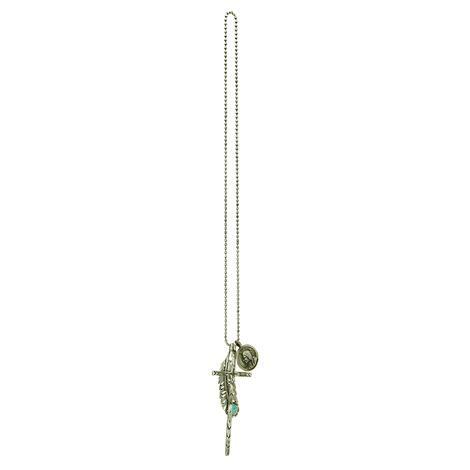 This Love Token is such an enjoyable necklace to wear with most anything. 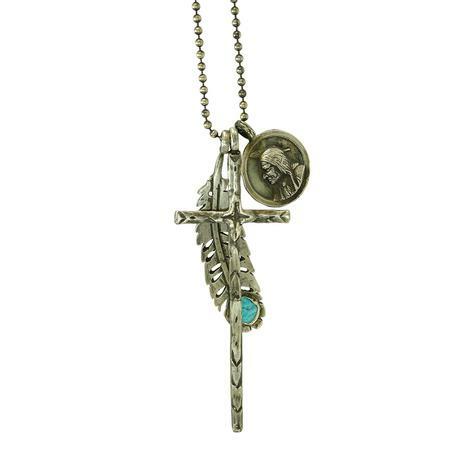 It hosts a stunning cross, an elegant feather, and a bold Indian head coin. The chain design is going to a ball chain for a bit of diversity you will want to have in your jewelry collection. You can feel the unique human nature in this necklace because each item is handmade buy brilliant artists. For the love of Pearls! 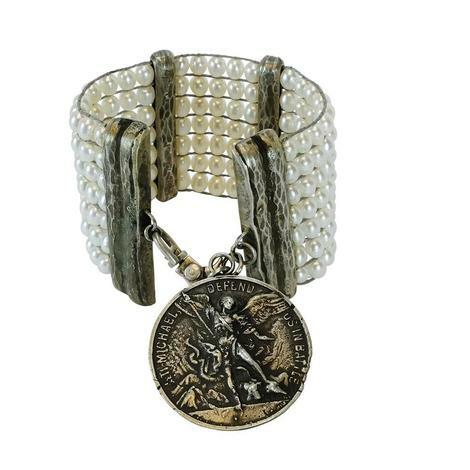 If you are a pearl lover then this is absolutely the bracelet for you. 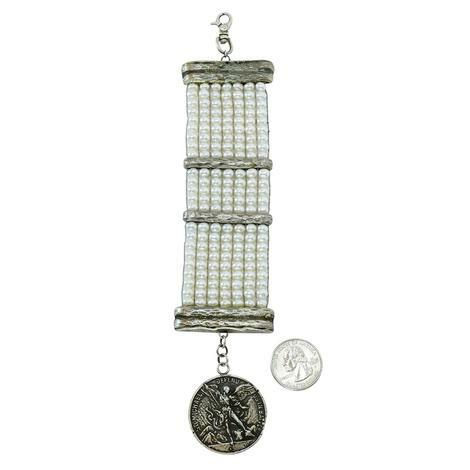 From the seven rows of sensational pearls to the exquisite St. Michael medallion it is going to be such a fun and flirty item to be displaying. 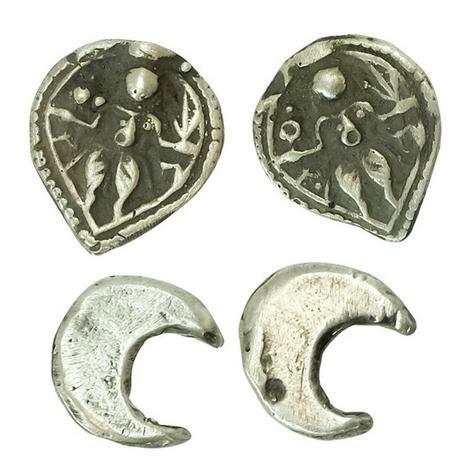 Love Tokens Sterling Stud Earrings. You pick. Available are the St. Ives teardrop impressioned set as well as the sweet little crescent moons. Both are adorable and accent your loves exquisitely. Pick your pair, or both, at South Texas Tack. 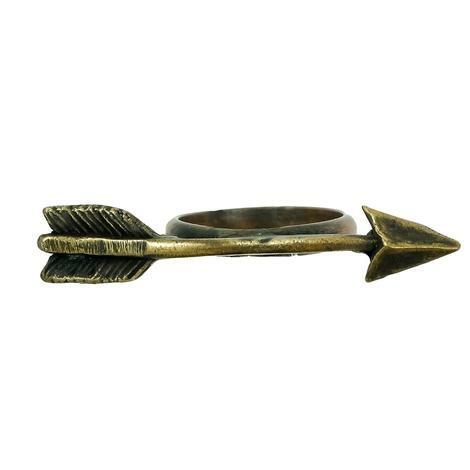 Love Tokens Jewelry offers a unique bronze arrow ring. Detailed feather etching and custom burnished finish. This lovely comes in a size 7. 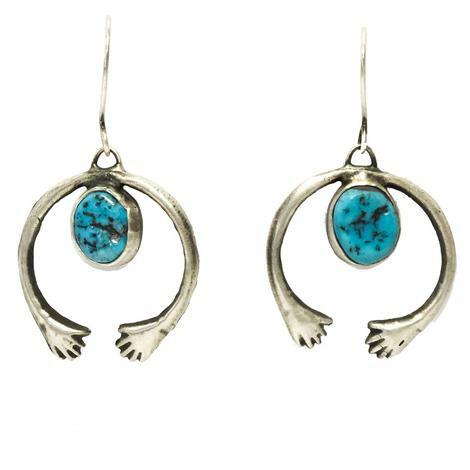 Elegant Love Token Earrings in shining silver hold a turquoise tag on a beautiful curved loop. Simple and elegant. 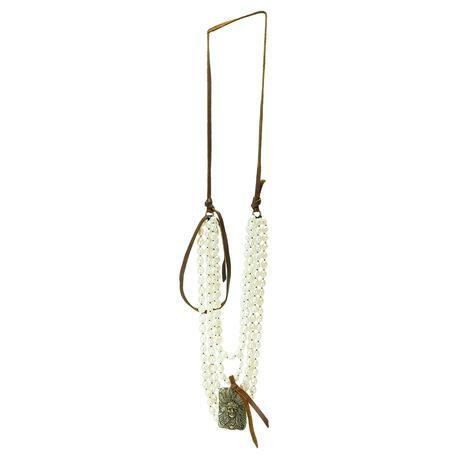 This five-strand pearl necklace by Love Tokens is the perfect piece to add elegance to any outfit for any occasion. Features include a leather neckline with an Indian chief drop pendant. 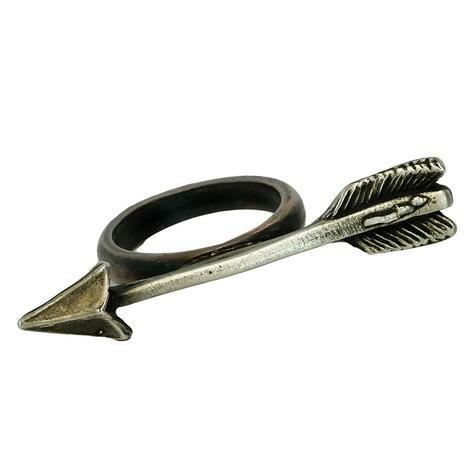 This silver ring by Love Tokens makes for a great accessory with its eclectic and romantic touch. 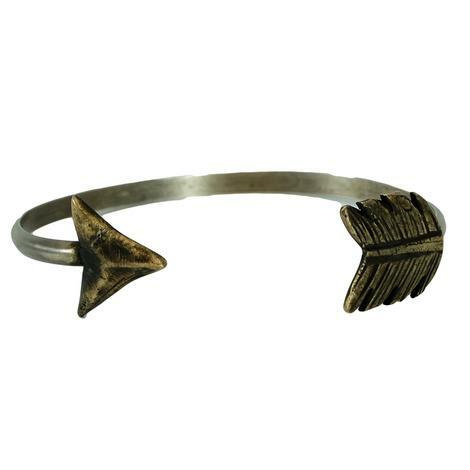 Point the way with this original silver Arrow Bracelet by Love Tokens.